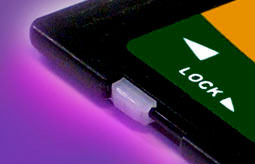 Cellotape is a leading provider of labels for the memory and storage card industry. As the industry has expanded from flash memory cards to include a wide variety of storage media, Cellotape continues to provide labels for over half of the domestic market. We are working closely with domestic and international manufacturers to help design the next generation of leading-edge products, such as Secure Digital and beyond. Quality is an essential component of this growing industry, as the card label is a predominant feature. We have won numerous awards for printing quality on memory and storage card labels. Cellotape is an ISO 9001:2008 certified supplier. Cellotape has worked closely with memory and storage card manufacturers to develop custom materials specific to the industry. Ultra-thin material constructions, specialized adhesives, and liners that support automated label application are just some of the reasons that the world’s largest suppliers of flash data storage products use Cellotape.